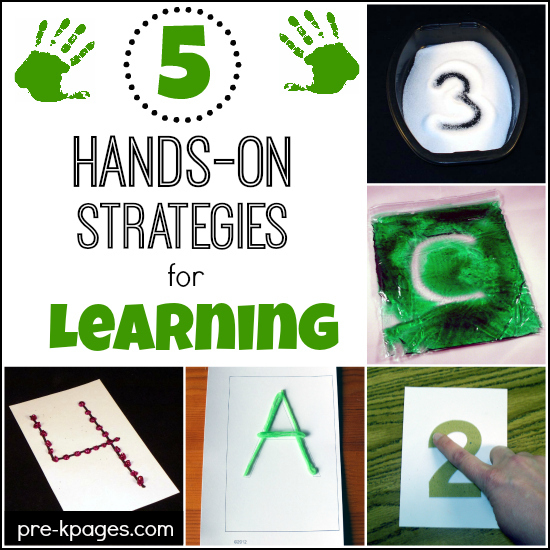 Did you know there are simple, hands-on teaching tips you can use that will make learning new concepts like identifying letters or numbers easier for young children in your preschool or kindergarten classroom? When all the different senses are incorporated into a learning activity it is more likely that the child will remember the concept that is being taught. Everybody learns differently. Some people learn best when they touch and manipulate objects, they are tactile learners. Others do better when they can see and imitate, they are visual learners. Then there are auditory learners who excel when listening to verbal instructions or audio books. Kinesthetic learners like to move. When all of these strategies are used together they are often referred to as multi-sensory. Multi-sensory strategies make concepts “stick” in our long term memory. When we see, hear, say, and do something we’re activating all of our senses at once. Be sure to have the child say the name of the letter or number as they are tracing the letter with their finger to ensure that the touch to brain connection is not broken. When children can touch the letters and numbers and feel their shapes, they will begin to recognize them more quickly. 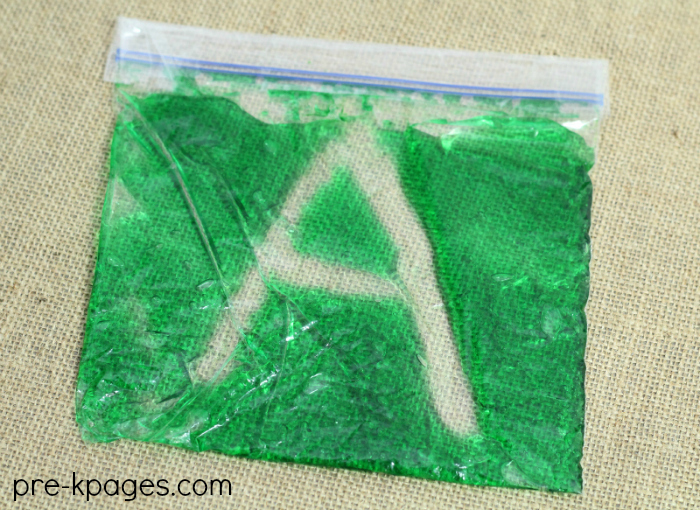 These gel bags are so easy to make and the kids just love them! Squeeze clear hair gel into the sandwich bag and add your food coloring of choice. Squish the gel and the food coloring around to even out the color. Force any extra air out of the bag and seal the top closed, then place a piece of packing tape over the seal. Place the bag on a flat surface like a table and smooth it out. Children can gently press their index finger in the bag to write numbers, letters, or sight words. This is another super simple activity that requires hardly any prep! 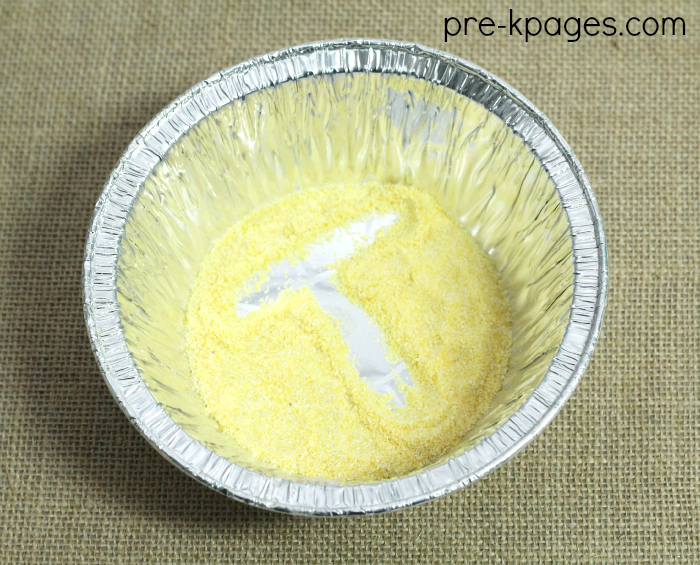 Upcycle frozen dinner trays and pour a little cornmeal into the bottom of the tray, just enough to cover the bottom. Children can use their index finger to write letters, numbers, or sight words in the tray. You can find sandpaper at the dollar store. 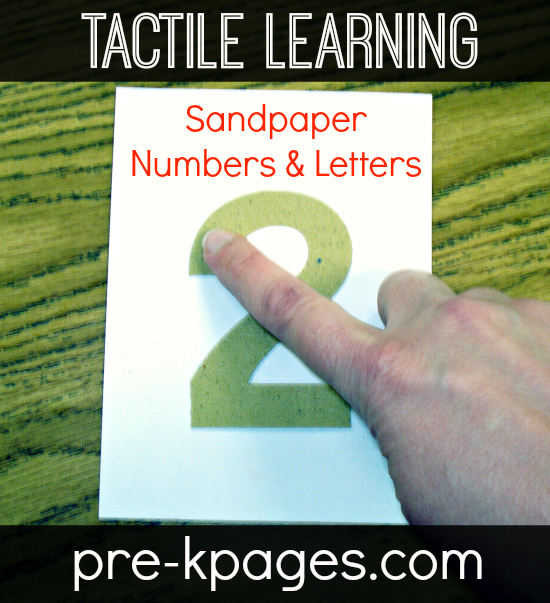 Trace and cut letters or numbers out of the sandpaper and glue them to squares of thick cardstock or poster board. You could also use those textured, rubber placemats instead of sandpaper if you prefer. Invite the children to use their index finger to trace the letters, numbers or sight words. Wikki Stix are always a favorite with young children! They come in a wide variety of colors and have a wax like texture that invites touching and manipulating. These waxed strings can be easily shaped and placed on top of alphabet, number, or sight word cards. 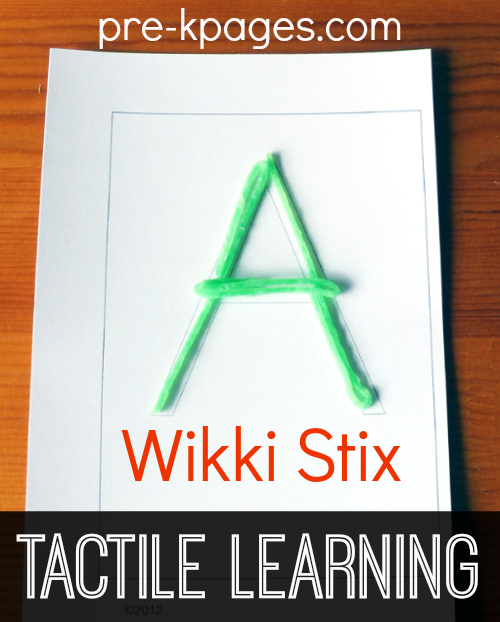 I created these free, printable uppercase Wikki Stix cards for you to use with this activity. These glue cards are very easy to make, you only need a few ingredients you probably already have on hand! 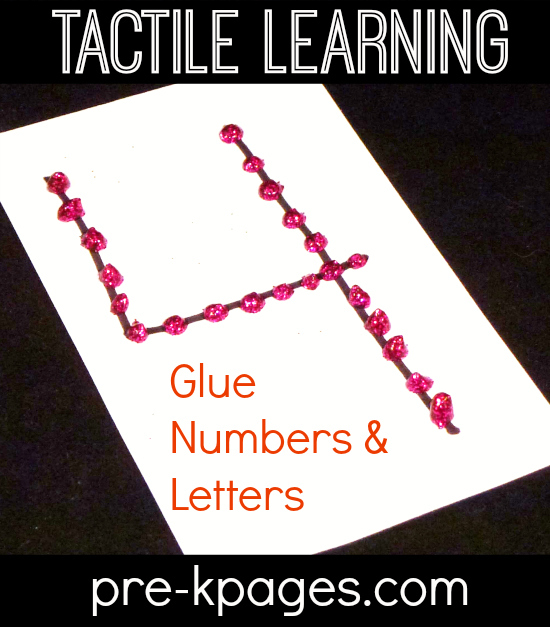 Here’s the tutorial for making your own tactile number and letter cards with glue. We're talking about multi-sensory strategies right NOW! Join us! In this video above, I discuss all the ideas shared in this blog post and answer your questions. I just made the gel bag. My 4 year old is going to think it’s pretty cool! I used a gallon size baggie instead of a sandwich one.